Dr. Rotimi Aluko is a Food Chemist with BSc and MSc degrees in Biochemistry and a PhD degree in Food Science. His area of research specialization is structure-function properties of food proteins and bioactive peptides. Dr. Aluko was a Lecturer at the Ahmadu Bello University from where he went to the University of Guelph, Canada to obtain his PhD degree. After two years of postdoctoral fellowship, he worked as a Research Scientist with Agriculture and Agri-Food Canada (AAFC), Saskatoon Research Station where he established a bioactive peptide research program. His work at AAFC led to several peer-review journal publications and a patent. From AAFC, Dr. Aluko joined the University of Manitoba in 2001 as an Assistant Professor in the Department of Human Nutritional Sciences where he established an active research program in the area of food protein-derived bioactive peptides. In 2005 he was promoted to the rank of Associate Professor and granted tenure in 2006. He is also a member of the Richardson Centre for Functional Foods and Nutraceuticals, a $25 million dollar state-of-the-art research facility that opened in 2006 at the University of Manitoba. His research work has led to the identification of several novel peptide products that could be used as therapeutic agents against hypertension and kidney diseases. Currently one of these peptide products is in the clinical trial phase to determine hypotensive efficacy in hypertensive human subjects. Dr. Aluko’s research program is well-funded with national grants from the Natural Sciences and Engineering Research Council of Canada as well as the Advanced Foods and Materials Network of Centre of Excellence. On a regional basis, his research program is funded by the Manitoba Agri-Food Research and Development Initiative and the Manitoba Centre of Excellence Fund. Dr. Aluko has trained several students, postdoctoral fellows and technicians, some of whom have become Faculty members in Universities in Canada, China and South Korea. He has published over 50 peer-review journal articles and book chapters. On a professional level, he is currently the Chair of the Protein and Co-Products Division of the American Oil Chemists’ Society. Dr. Kesitegile Gobotswang has an undergraduate degree in Political Science and Sociology from the University of Botswana and Swaziland, a Masters Degree in Nutrition and Dietetics from New York University, in the US as well as a PhD in Public Health Nutrition obtained at the University of Queensland, in Australia. In 2005 Dr. Gobotswang was promoted to the position of Senior Lecturer and has previously acted as Head of the Department of Home Economics for one academic year. Currently he is the Coordinator of the development of a Masters of Nutrition Sciences program. 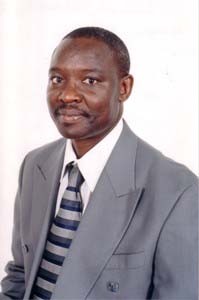 Dr. Kesitegile Gobotswang has a wealth of experience in both academic world and in the field of practice. 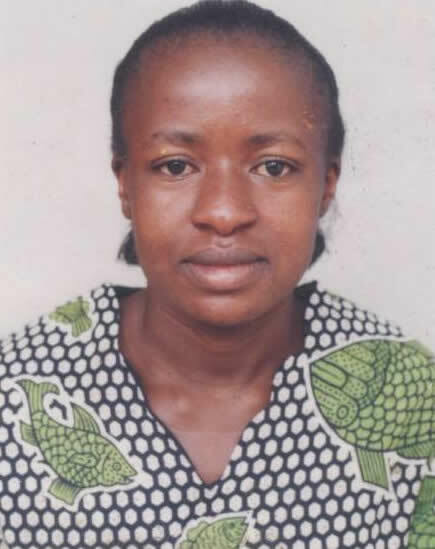 Between 1984 and 1992 Dr. Gobotswang worked as a Nutritionist in the Ministry of Health rising to the position of Senior Nutritionist before moving to the National Institute of Research and Documentation as a Research Fellow in the area of Health and Nutrition. Dr. Gobotswang has undertaken several research projects in household food insecurity and child nutrition as well as evaluation research focusing on poverty alleviation strategies. Specifically Dr. Gobotswang examined the role of labor intensive public works programs on household food production, income and household asset holding which was the core of his PhD thesis. In recent years with the devastating impact of the HIV and AIDS epidemic, Dr. Gobotswang has done research on the impact of HIV and AIDS on agricultural production and has published extensively in these areas. While working in the Ministry of Health Dr. Gobotswang was involved in program formulation, implementation, and monitoring and evaluation. Dr. Gobotswang was one of the international consultants who developed the current National Plan of Action for Nutrition Program. He is currently involved in development of the implementation strategy of the National Plan of Action Program. He recently participated in an international workshop on integrating nutrition into HIV/AIDS programs. Dr. Gobotswang had an extensive input in the development of Nutrition and HIV/AIDS Guidelines for the Ministry of Health. Dr. Gobotswang worked with international consultants to review the National Nutrition Surveillance and later the Growth Monitoring and Promotion Programs for the Ministry of Health and the World Health Organization. He also reviewed the implementation strategy for health for all by the year 2000 for the Ministry of Health and the World Health Organization. Dr. Gobotswang has consulted as well as being consulted on a number of subjects in recognition of the wealth of experience in the area of health and nutrition. He was part of a team of consultants who prepared a national paper for the Ministry of Finance and Development Planning that was presented at the World summit on Social Development. He also participated in the rapid assessment of views of youth on the relationship between alcohol and drug abuse, and the spread of HIV/AIDS in Botswana for ACHAP and the Botswana Government. Dr. Gobotswang has been involved in regional research and program development initiatives. He participated in a regional research project to assess the impact of HIV and AIDS on agricultural production. The project that was supported by the South Africa based Food Agriculture and Natural Resources Network (FARPAN) involved the countries of Botswana, Lesotho, Namibia, South Africa, Swaziland, and Zimbabwe. Dr. Gobotswang is a founder member of the Southern African Nutrition Capacity Development Initiative (SANCADI). Through SANCADI Dr. Gobotswang participated at a regional workshop to develop pre-service manual on nutrition and HIV/AIDS. The manual together with ready made power point presentations have been widely distributed and used by instructors in tertiary institutions. He is currently the co-project leader in a University of Botswana/University of Pennsylvania collaborative research project focusing on the HIV-STI risk reduction intervention study among adolescents supported by the National Institute of Health (NIH), in the United States of America. Dr. Gobotswang has been involved with HIV/AIDS support groups. Armed with the knowledge relating to the role of nutrition in delaying the progression of HIV to AIDS he initiated a small scale vegetable production project with the Matlo Go sha Mabapi support group (for people living with HIV/AIDS) in the poorest locations of Gaborone called Old Naledi. Emily Kaveza is the current assistant in the production of AJFAND, where she has worked for the past three years. She was employed as a cleaner at AJFAND office for two years as well as a house helper. She comes from a less privileged family and that made her unable to continue with studies after O level education. She worked hard to collect money to clear school fees arrears in her former high school to be able to get her certificate which she did successfully. That was not enough for Emily because her dream was to further her education and immediately she embarked on collecting funds for her college. Due to her hard work and determination, the Editor-in-Chief, AJFAND felt that Emily could do well in assisting in the journal production and in the year 2006 she was promoted from a cleaner to the Editorial team. She has really proved the Editor to b right by working hard. She deals with receiving manuscript from authors, subjecting them to internal check, sending them to reviewers and so on. She virtually manages the review process. Her dream came true this year 2008 when she joined Diploma studies in Journalism, Mass communication and document editing where she goes as a part-time student. But she still aims to go higher. Emily has truly beaten the odds to reach this far. I am extremely proud of her.